Today is one of the most important days for all Thai people. 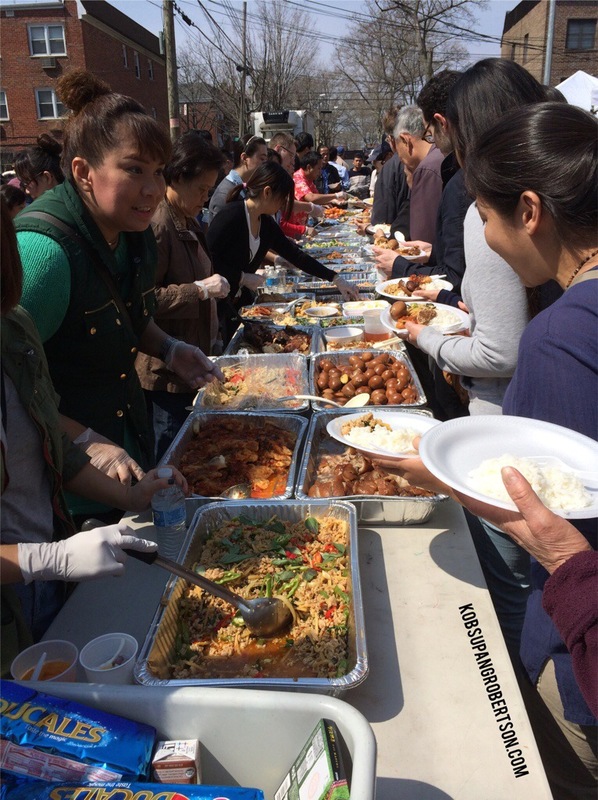 Every 13th of April is the day that families get together and celebrate this day; having meals, going to the Buddhist temple, or traveling together. Even though I don’t live in Thailand anymore, I still celebrate it with my husband. 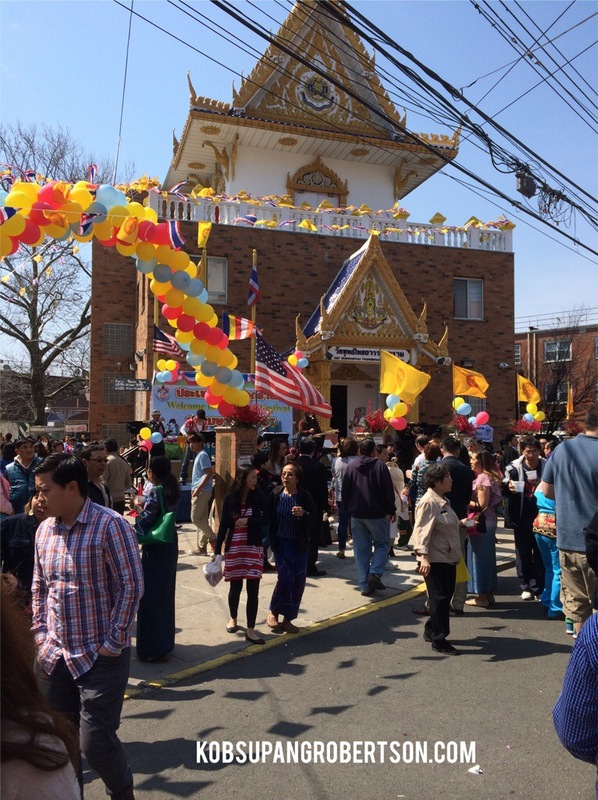 This year, we went to the temple in Elmhurst, NY called, “Wat Buddha Thai Thavorn Vanaram.” There was a lot going on: Musical performances, dancing, the Miss Songkran beauty contest, and a Muai Thai tournament! It was absolutely jam-packed at the buffet, but there was quite enough food for everyone. 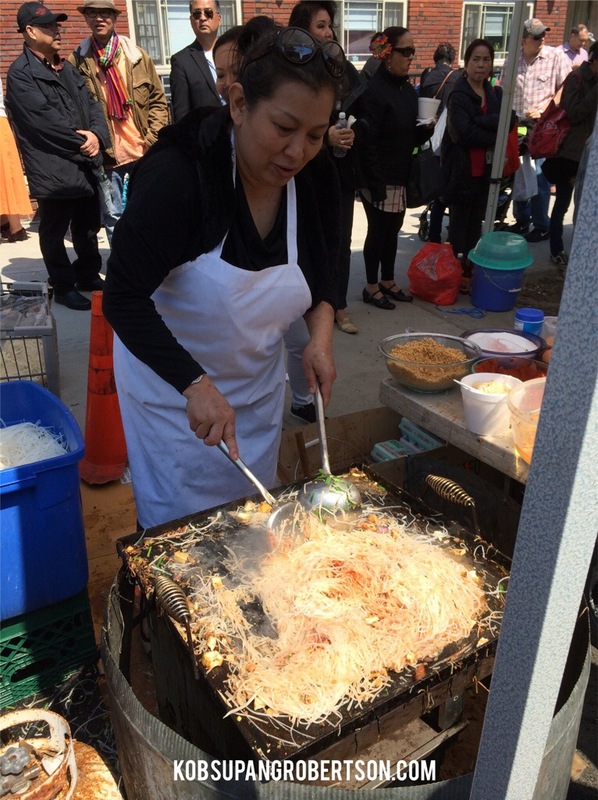 My husband and I had just gone to the temple early last week so we really didn’t stay long. On our way home, we happened upon a new bubble tea store in Elmhurst. It’s called, “Big Bear Bubble Tea.” My husband and I decided to check it out; we ordered the Thai Turbo, which is Thai iced tea with espresso. We asked for tapioca bubbles, and it was delicious! 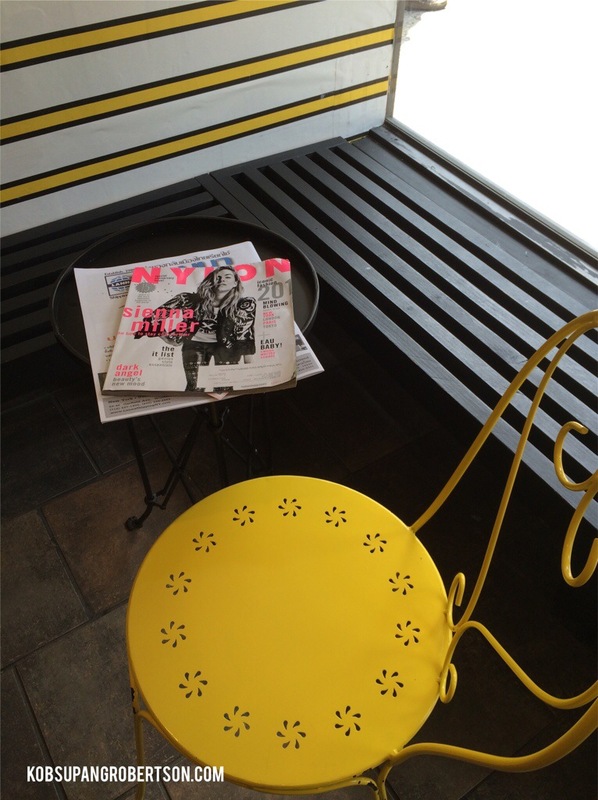 The store is cozy, with a small seating area laid out with magazines–while waiting for your order. Big Bear’s hours are from 11 AM – 10 PM, and it gets crowded later in the afternoon so we definitely recommend you get there yearly! My favorite perk of getting your bubble tea there is nabbing 20% off if you can post a selfie of you and your Bubble Tea on Instagram! My husband and I had too much fun and absolutely went crazy taking selfies with our bubble tea. 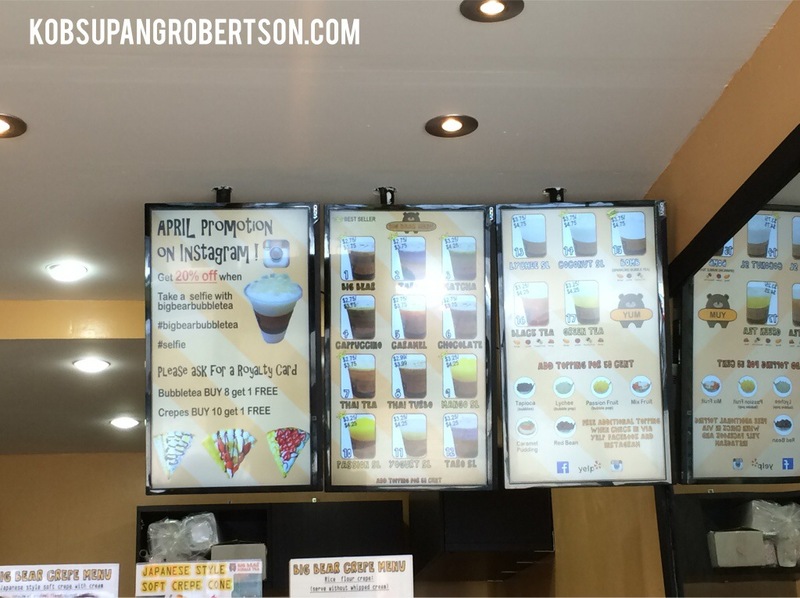 So, if you are in Elmhurst, check out this new bubble tea place! 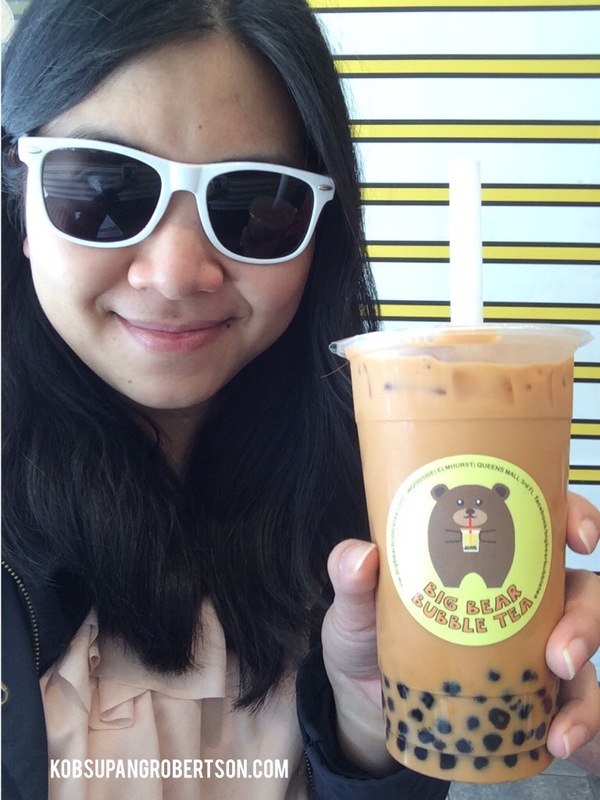 Like Big Bear Bubble Tea on Facebook!